For several years, I have been providing high quality, personalized financial and income tax guidance to individuals and businesses throughout the Monterey Peninsula. My mission is to help clients maintain financial viability in the present while taking a proactive approach to achieve future goals. This requires open communication to reach an understanding of our clients' needs, thorough research, and sound analysis. I am dedicated to meeting these goals with high standards of excellence and professionalism. Every client needs accurate, timely and exemplary tax preparation. Through extensive training and experience Pete assists his clients all year long implementing strategies to maximize wealth and improve cash flow. He takes a proactive approach to helping his clients, including both individuals and small businesses, to address complex tax issues with solid advice and innovative ideas. It’s the kind of work that CPA’s love to tackle and Pete is great at it. 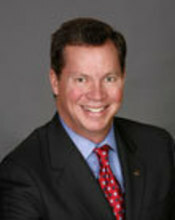 With more than 25 years of experience in the tax and accounting industry, Pete's practice specializes in helping individuals and small businesses with the following needs: tax planning and preparation, accounting, litigation support, business valuation, due diligence and acquisition or sale negotiations. He also acts as interim Controller and provides CFO assistance for small business clients. Helping his clients address complicated tax problems and provide innovative solutions to simplify their financial life is his passion.